The pickup with the classic, sweeter, rounder, original Strat sounds of the early '50s. Bell-like highs with a more rounded mid-range and fuller bass response. Scatterwound with wax potted coils and Flat or Staggered Alnico 5 magnets. Medium output. Vintage style cloth covered lead wire. The middle pickup can be RW/RP for hum cancelling in position 2 & 4. Poles can also be staggered for left-handed playing. 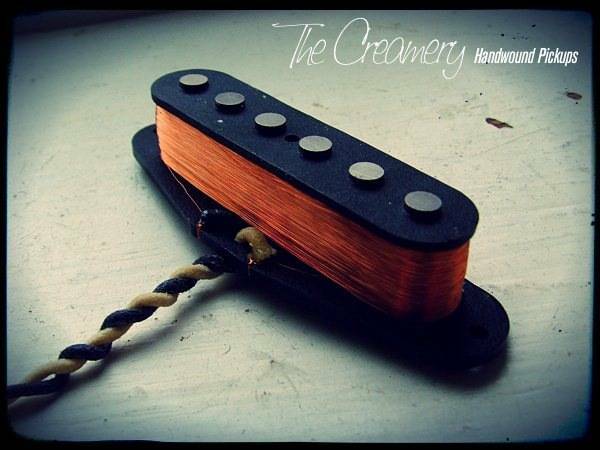 A great vintage inspired Stratocaster pickup with less string pull for an overall sweeter, vintage sound.